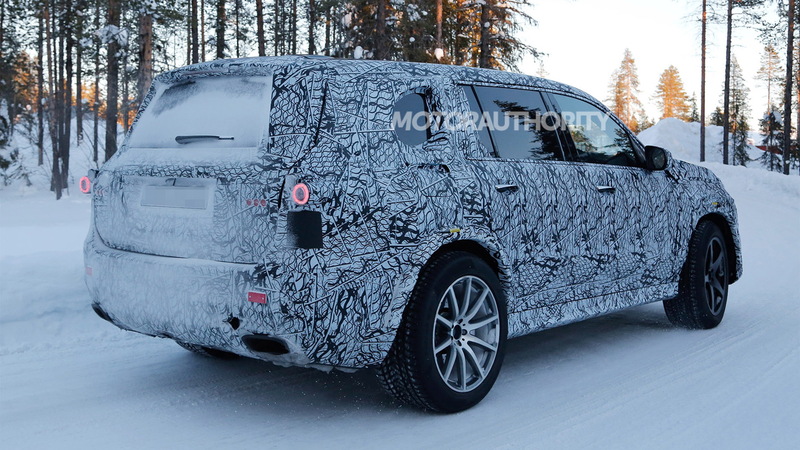 Mercedes-Benz is working on a new generation of its GLS full-size SUV, and once again there will be a high-performance variant from AMG. 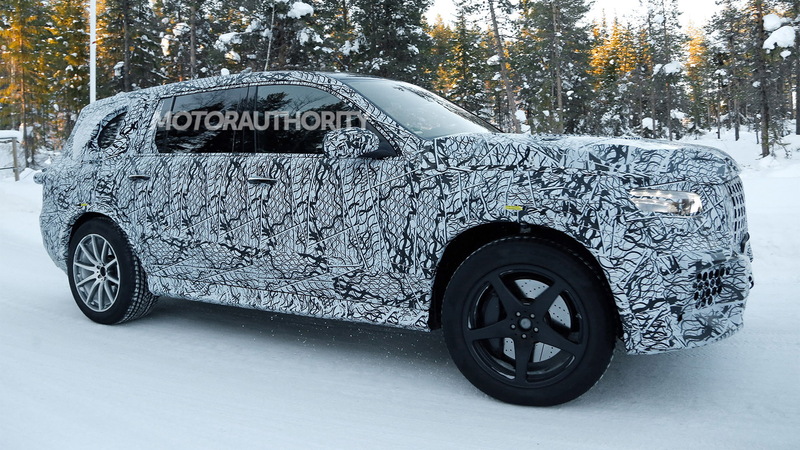 Our latest spy shots reveal a prototype for the AMG version, which will go by the name GLS63. 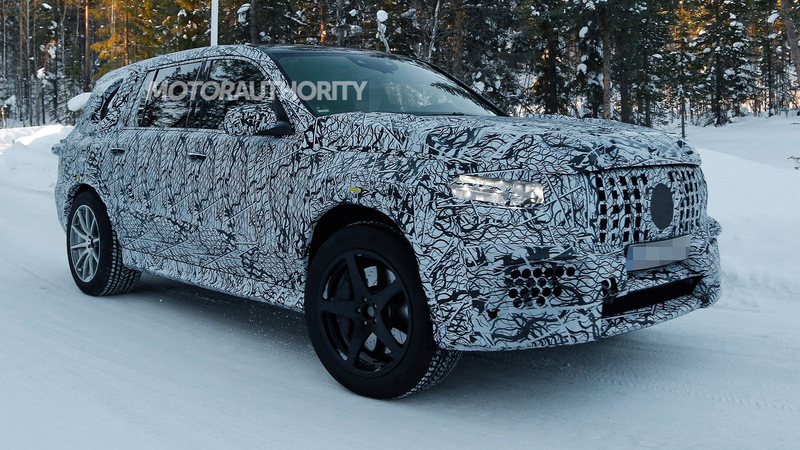 We know this is the AMG version of the new GLS because of its protruding Panamericana grille design, which features on the latest AMG models like the GT 4-Door Coupe and G63. The prototype also sports more intakes in its front fascia compared to prototypes for the regular GLS. There's also no missing the massive brakes it's wearing, as well as its very wide rubber. 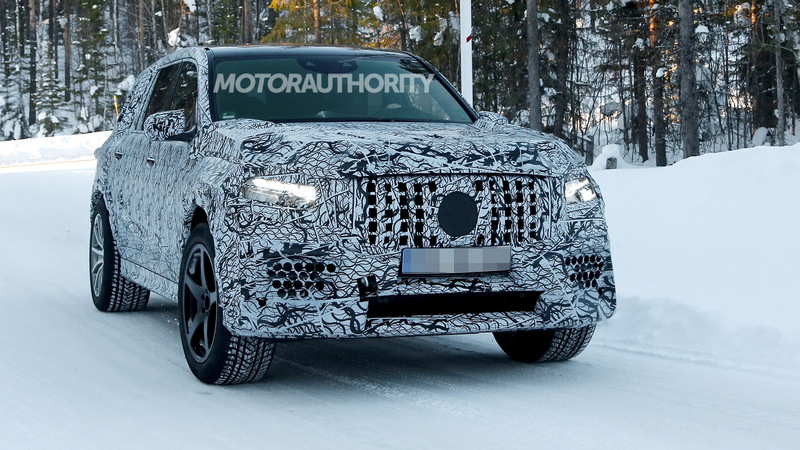 This tester is still fitted with the regular GLS's exhaust tips but expect these to be swapped for a set of quad tips with AMG's squared-off design as development advances. Under the hood should be a 4.0-liter twin-turbocharged V-8 paired to a 9-speed automatic and all-wheel-drive system. Peak output will likely lie close to the 577 horsepower and 627 pound-feet of torque that the same engine produces in the G63. It's possible that AMG launches a GLS73 EQ Power+ hybrid down the road. This one would feature the 4.0-liter twin-turbo V-8 paired with an electric motor for an output approaching 800 hp. Such a configuration was previewed in AMG's GT sedan concept unveiled at the 2017 Geneva auto show. The new GLS is expected in showrooms next year as a 2020 model. The AMG version should arrive shortly after the regular model. Also in the works is an ultra-luxury version from Maybach. 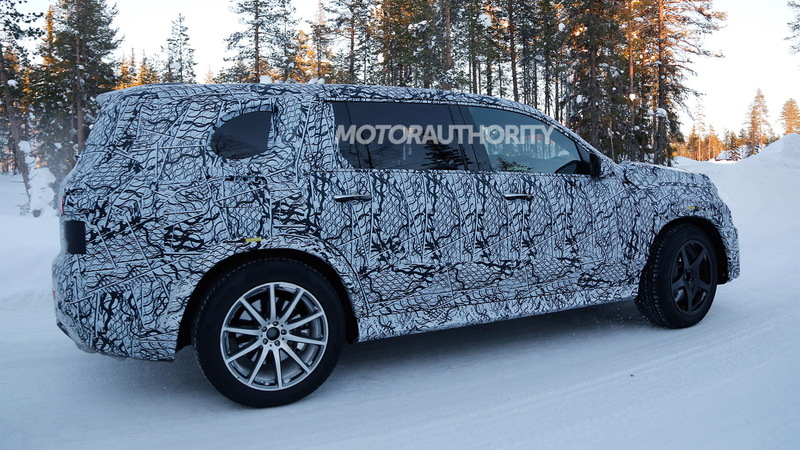 Potential rivals for the GLS include the Cadillac Escalade, Infiniti QX80, Lexus LX 570, Lincoln Navigator, and soon a new BMW X7.